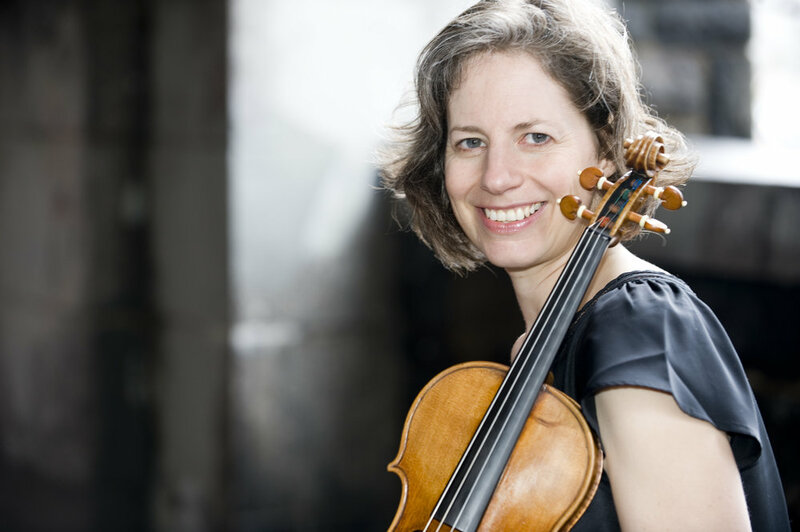 Violinist Andrea Schultz enjoys an active and versatile musical life as a solo, chamber, and orchestral musician. She currently performs and tours with a wide array of groups, including the Orchestra of St. Luke’s, the New York Chamber Ensemble, and Musica Sacra. A devotee of contemporary music, Schultz is also a member of the contemporary chamber ensemble Sequitur and has been involved in the premieres of more than a hundred works with groups that include Either/Or, Cygnus, the Da Capo Chamber Players, Locrian Chamber Players, Eberli Ensemble, the NY Composer's Circle, the League of Composers, the Cabrini Quartet, and others. She has recorded contemporary chamber music for the Naxos, Albany, New World, and Phoenix labels. She was a member of the Mark Morris Dance Group Music Ensemble for many years, touring the US, Britain, Japan, and Australia; and has performed as guest with the Cassatt String Quartet, Perspectives Ensemble, Avery Ensemble, Apple Hill Chamber Players, Orpheus Chamber Orchestra, and Mostly Mozart. Schultz spends summers performing and teaching at the Kinhaven Music School, the Wintergreen Music Festival and Academy, and the Bennington Chamber Music Conference. She and her husband, cellist Michael Finckel, also curate a summer chamber-music series in a historic carriage barn in North Bennington, VT. A graduate of Yale University, the Cleveland Institute of Music, and SUNY Stony Brook, Schultz studied violin with Betty-Jean Hagen, Sydney Harth, Paul Kantor, Donald Weilerstein, and Joyce Robbins. She plays on a violin made in 1997 by Stefan-Peter Greiner.